Discover Your City: The Price is Right - College Rivals Episode! Come on down Harvard alumni! 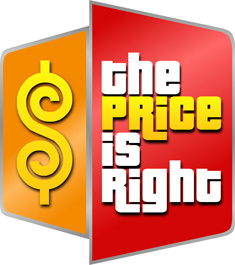 Join the Harvard Club of Southern California as we participate in The Price is Right College Rivalry episode. Last year one of our own was called down, let's see if we make it to the final showcase again this year. This event is open to members only! Come on down Harvard alumni! Join the Harvard Club of Southern California as we participate in The Price is Right College Rivalry episode. Play against contestants from rival schools and win cars, trips and many other amazing prices. Registration is now closed. Thanks for a great turnout! Please wear a Harvard T-shirt or Harvard best to show your spirit. We anticipate being at the CBS studios until 2:30pm. Cost: No charge, but limited to first 15 Club members who register.